Melbourne, Fla. – April 13, 2015 – May is National Preeclampsia Awareness Month, as designated by the U.S. Department of Health and Human Services. 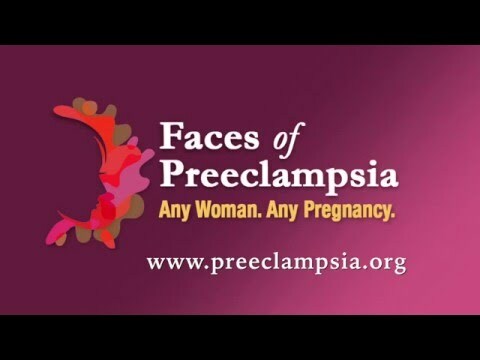 To build awareness of preeclampsia, a life-threatening disorder of pregnancy and the postpartum period, the Preeclampsia Foundation is sponsoring a month-long education campaign using the theme: Take the Preeclampsia Pledge – Know the Symptoms. Spread the Word. In addition, thousands of families in 43 cities will be participating in The Promise Walk for Preeclampsia™. The Promise Walk for Preeclampsia™ is the signature awareness and fundraising event of the Preeclampsia Foundation to support its mission of saving the lives of mothers and babies impacted by preeclampsia and related hypertensive disorders of pregnancy. The Foundation does this by providing patient support and education, raising public awareness, catalyzing research, and improving healthcare practices. In the last five years, this national event has raised more than $1.8 million, and the 2015 fundraising goal is $500,000. This year’s national sponsors are BabyCenter, Happy Family Organic Superfoods, ISEBOX, and PerkinElmer Labs. Promise Walks in the 43 participating cities are family-style events. “You will see a lot of babies in strollers, guest speakers, appearances by media personalities, raffles, health screenings, children’s activities, and memorial events,” said the Foundation’s Director of Community Relations Laney Poye. Visit http://www.promisewalk.org to register or support a Promise Walk. Join the fun for a chance to win prizes! For more information, contact Debbie Helton at the Preeclampsia Foundation, 321.421.6957, Debbie.helton@preeclampsia.org; www.preeclampsia.org/pream. About Preeclampsia: Preeclampsia is a serious - and rather common - complication of pregnancy and postpartum period, dangerous to both the mother and her unborn baby. It is characterized by high blood pressure and protein in the urine. Other signs and symptoms may include swelling of the face and hands, headaches, and visual disturbances. Knowing the symptoms and reporting them immediately may lead to more timely diagnosis and better outcomes. About the Preeclampsia Foundation: The Preeclampsia Foundation is a U.S.-based 501(c)(3) non-profit organization established in 2000. It is dedicated to providing patient support and education, raising public awareness, catalyzing research and improving health care practices, envisioning a world where preeclampsia and related hypertensive disorders of pregnancy no longer threaten the lives of mothers and babies. For more information visit www.preeclampsia.org or call toll-free (800) 665-9341.